Friday morning, I headed downtown to SFU Woodward's Goldcorp Centre for the Arts in Gastown to attend Creative Mornings - a free monthly lecture series where tickets are handed out by lottery. There are over a 125 chapters of Creative Mornings around the world (new ones are being added almost daily) and each is coordinated to offer a speaker once a month on a set topic. How fabulous that local sponsors step in to cover the costs. their perspective. You place yourself in their shoes and feel what they are feeling. by misfortune, accompanied by a strong desire to alleviate the suffering. It's subtle, but do you hear the difference? 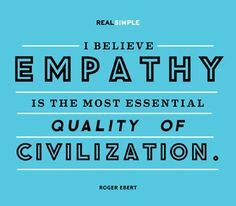 It came together for me when Reynolds made this simple statement, "With empathy you feel WITH them. With compassion you feel FOR them." Wow! One places you together in the same room actively engaged - one puts you on the outside looking in through a window caring about what you see. Both have their place, but it's important to understand the difference. I am the first to say you can never truly walk in someone else's shoes, but I do believe a person can can authentically connect to what another shares. One of the first steps towards feeling EMPATHY is authenticity and it must come from both sides - the listener and the teller. Reynolds discussed how difficult this can be as from an early age, we quickly learn to present an image that is acceptable to our social circle. We learn to "fit in" and "belong" and the image we present often has to be skewed towards societal norms to avoid teasing. Authenticity is something most of us have to re-embrace as adults and accepting who we are is the first step. Another difference that pops for me as I think on this subject is one I had a hard time learning. I do truly care when people are in distress and want to help, to fix what I can, to offer wise advice that makes a difference. But with a racing mind, there is often an intensity and overwhelming drive that cause me to jump in as they share their heartache or troubles with what I think are helpful comments. That is is more indicative of compassion as I am focused more on action than connecting with what they are feeling. 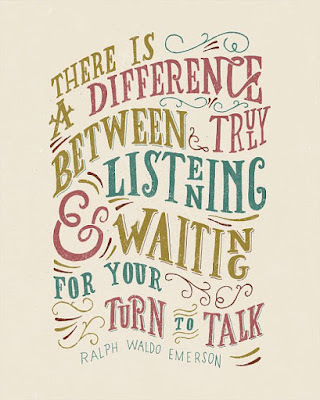 What I have come to realize is that when I bring EMPATHY to that same situation, it becomes about being quiet and truly listening. That's the only way you can hear what they are sharing and hopefully in some small way understand their emotional journey. How you can help should be defined by what they ask for, not what you think is best. They don't need your truths - they need to find their truths. I wish I had realized this as my kids were growing up. As a mother I always wanted to jump in to guide them or fix the problem. 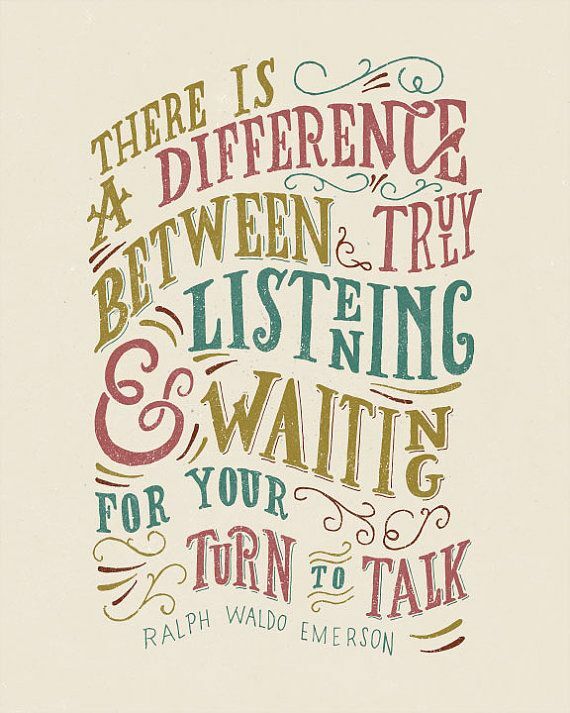 While there are times where that was needed, I think my kids would have loved more simple empathetic listening. In the end, I think both EMPATHY and COMPASSION have their own unique place in making this world a better place. It is an interesting subject to ponder, though, and I suspect I will be discovering new facets over the next few weeks as I think more on this subject.